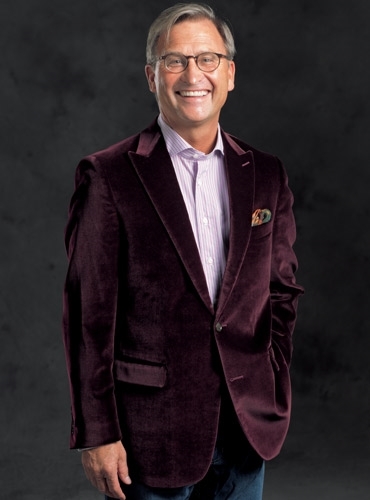 We love our extraordinary cotton velvet peaked lapel jackets, in either burgundy or tartan green, for their soft and luxurious hand, and also for their versatility. 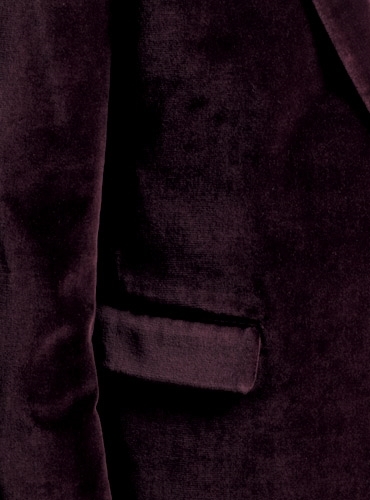 The cotton velvet is from Holland & Sherry of England. 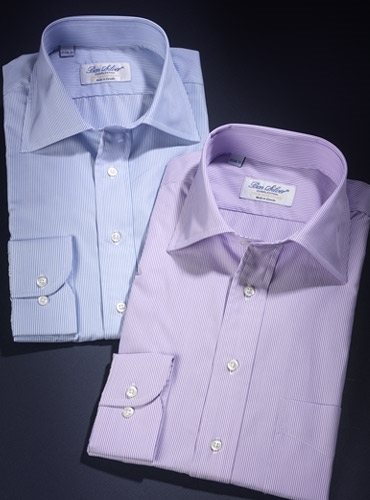 We have cut them classically with a peaked lapel and side vents, assuring they will be just as perfect over a striped shirt with no necktie, and a pair of jeans, as they will with a solid dress shirt with a bow tie and dress trousers. 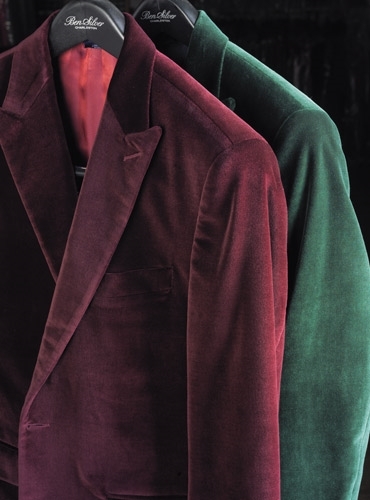 Here we propose both options: opposite we show the tartan green velvet jacket dressed for an evening out. Imagine a special holiday event, with dress trousers, a cleanly folded white linen pocket square, a white cutaway collar shirt and a silk bow tie. 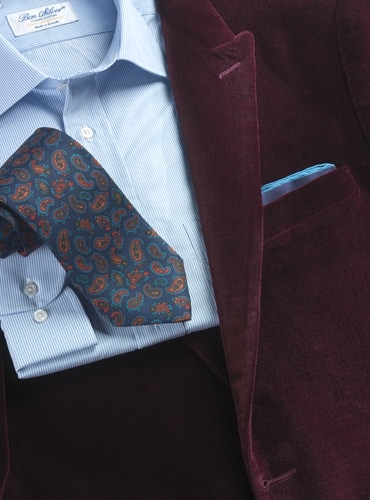 At left we propose a more casual option, illustrated with our burgundy velvet jacket, one of our fine striped cutaway collar shirts and our exclusive easy fitting jeans from R.M. Williams, in sizes 32–44. Either jacket is handsome over a turtleneck sweater as well. Each jacket is cut in sizes 39–48 Regular and 42–48 Long, with additional sizes upon request.